About Property Managers, Shawn and Jeanette Lawson (Kiawah Island Getaways): Shawn's family discovered Kiawah in 1978 and returned year after year for two-week vacations. In 1985 we drove our VW Bug convertible to Kiawah and Shawn introduced me to Kiawah. I remember stepping over the dune boardwalk out in front of the Kiawah Island Inn and seeing Kiawah's wide, sandy beach for the first time - it was so brilliant it practically danced before my eyes. It was during this vacation that the two of us decided to set our sights on moving to this beautiful and fascinating place permanently. In 1988 our dreams came true and our U-Haul rattled across the Kiawah Island bridge (at that time it was nothing more than a wood-planked bridge). For the next four years we rented a 1-bedroom villa, 4251 Mariner's Watch. Shawn was so thrilled to be living on the island that he applied for the personalized South Carolina license plate 'KIAWAH' (which we still have today). In 1992, we built our first home on the island at 134 Conifer Lane. During construction, I gave birth to our first son Benjamin - he arrived 2 months early in an ambulance outside of the Kiawah Island Fire Station. In 2001, we purchased our first villa, a 1-bedroom, beachside Seascape and Kiawah Island Getaways was born. Once we got our feet wet with the villa rental business, it was a like a fever for us. We both really enjoyed furnishing, decorating and maintaining the villas - not to mention the new found fun of meeting and talking to all sorts of people about Kiawah. Because we really enjoy what we do, other Kiawah property owners noticed and we started managing their properties as well. Our whole family loves Kiawah and running Kiawah Island Getaways is a true family-run business. We personally prepare each villa prior to your arrival - because we want your stay to be perfect. We want you to fall in love with Kiawah too...and we know you will. From vibrant wall décor to bold splashes of color, the Treetops at Shipwatch combines luxury with charm at every turn. The Condo was clean and well decorated. We loved the beds and linens. The kitchen was well stocked. The property was amazing! Attention to every detail! Close to the beach. Will definitely rent again! The owners made sure they provided a true vacation experience! Luxury bed linens, incredibly stocked kitchen... even the closet had beach towels, and extra blankets! The furniture was clean and comfy... not stiff like most rental units! Truly a beautiful, comfortable place to visit! Perfect place to stay for a beach getaway. Tastefully decorated and conveniently located to all that Kiawah has to offer. Very well maintained, clean, beach-view condo on a private beach. Owners provide a terrific vacation experience. We appreciated the wonderful communication before, during and after our stay. Additionally, enjoyed the property location (just over the island bridge), access to the local shopping center area, and two-minute walk and access to the beautiful beach. Highly recommend this for a family get-away. Very lovely condo! The owners thought of everything from being greeted with fresh flowers and soft music to a well stocked condo with plenty of paper towels, toilet tissue, dishwashing supplies, beach towels,... And it had an in-unit washer and dryer! The beds were super comfortable! We've been coming to Kiawah for 22 years and felt very much at home in this condo. 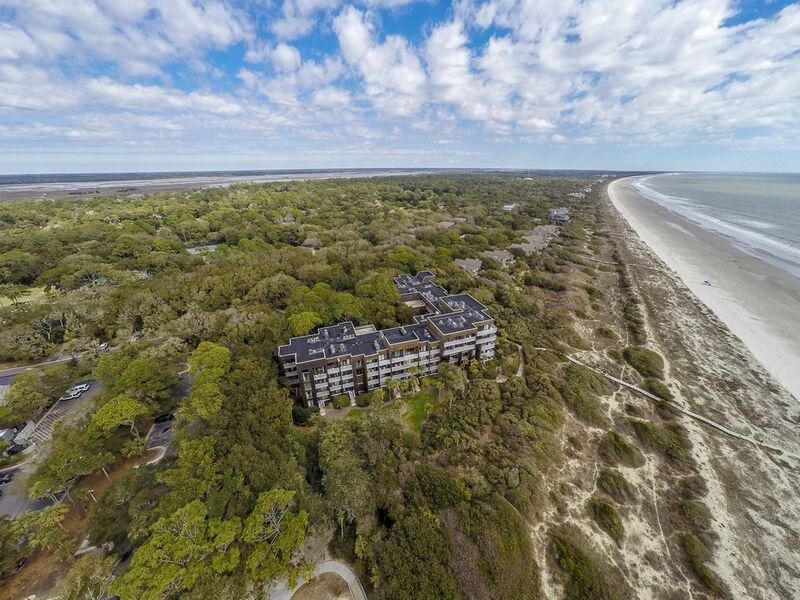 We will definitely look forward to renting from Kiawah Island Getaways again!